Lew Hoad Reserve, on Minogue Crescent next to the PCYC, was originally marshy ground between the mouths of Johnston’s Creek and White’s Creek. It was reclaimed in the 1870s. In 1965, it was named after Lew Hoad, who was a daily visitor to the Police Boys Club as a youth. A member of the Glebe Society, Wayne Carveth, has send us some photos of Glebe. Two are particularly interesting. 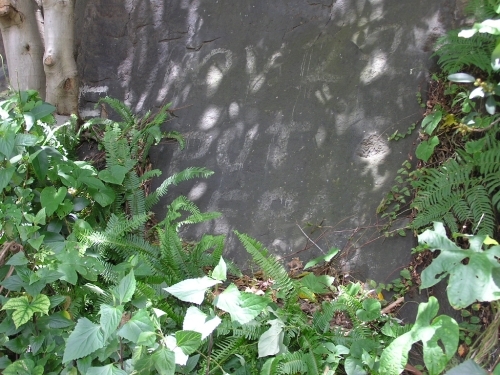 One is a carving in the rock face at Lew Hoad Reserve (‘1918 FIGA’) and the other is election graffiti from 1958 (“put Liberals last”). Does anyone know anything about either of these? 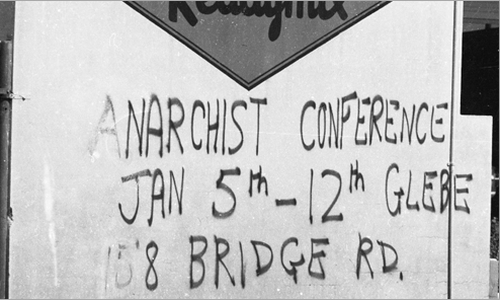 This posting sparked some Glebe Society members to share memories of other political graffiti. When we moved to Forest Lodge in 1972, the ‘Put Liberals last’ graffito was much fresher and more visible from the Crescent. I may be mistaken, but I seem to remember a ‘Pig-iron Bob’ graffito as well. If that’s the case, it may have gone back to about 1938. 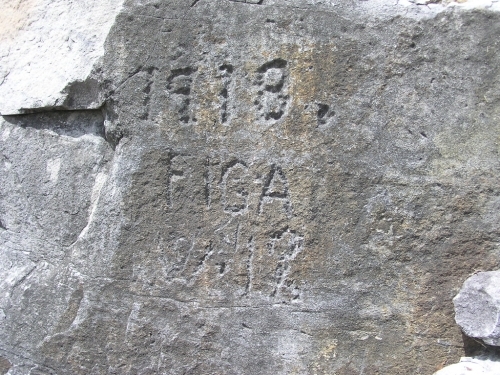 I don’t recall the ‘1918 FIGA’ carving. 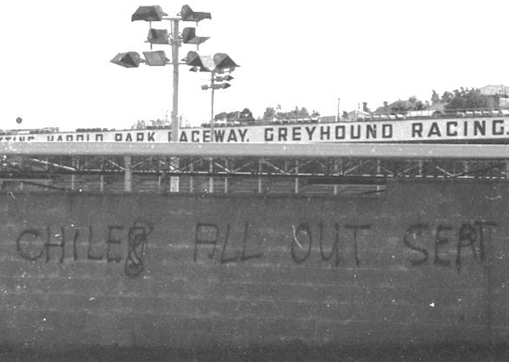 … After the 1975 Federal election, there was also a graffito on the Harold Park wall opposite the Lew Hoad Reserve reading ‘Australian voters are bloody-minded sheep’. Also on the wall, and about the same time, was ‘God hates homos’ – and underneath, in a different hand, ‘but he loves tabouli’. Another one I remember was “Fraser is the Hilton Bomber’’. In the late 1960s, we would vote at the hall in Woolley Lane. Its exterior wall was adorned with ‘Don’t vote. It only encourages the bastards’.